სიმძლავრის დიაპაზონი 1,5 ~ 5,6 kW. 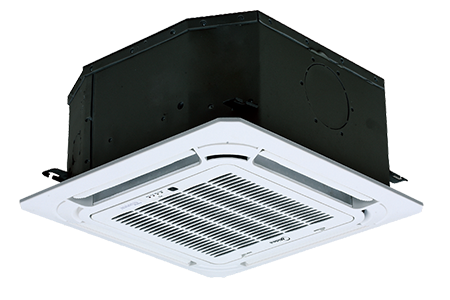 Extremely compact casing suits any room's decor and requires little space for installation on a low ceiling. 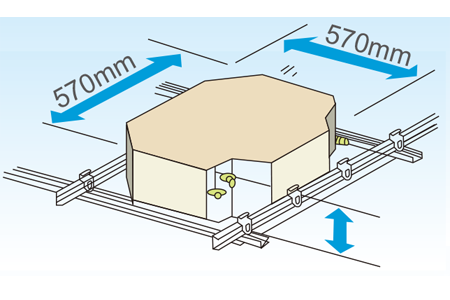 Due to compact body and light weight, all models can be installed without a hoist. 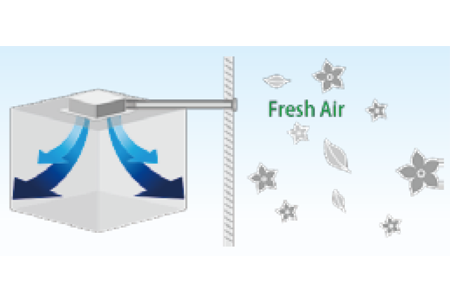 Fresh air can enter through the cassette unit so you can enjoy even fresher air in a room.